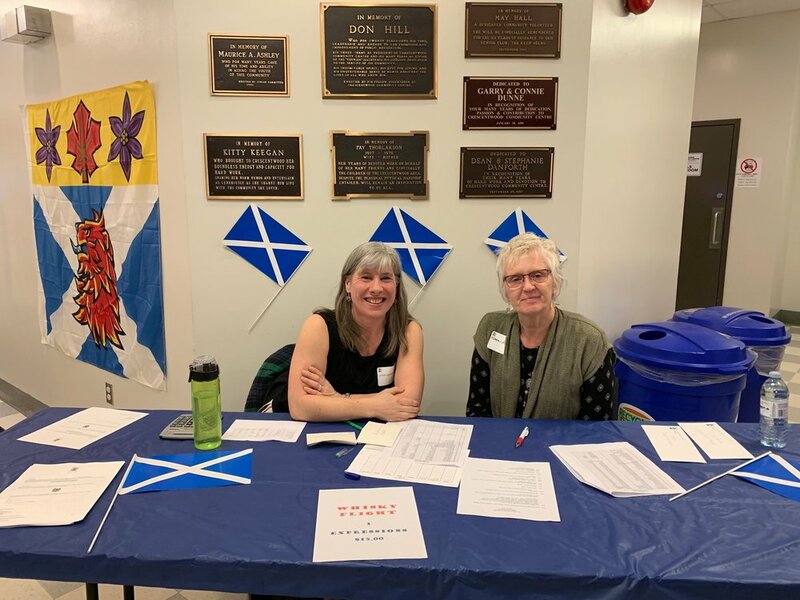 The St. Andrew’s Society of Winnipeg held its first Family Friendly Ceilidh on April 5 as a way to celebrate Tartan Day. 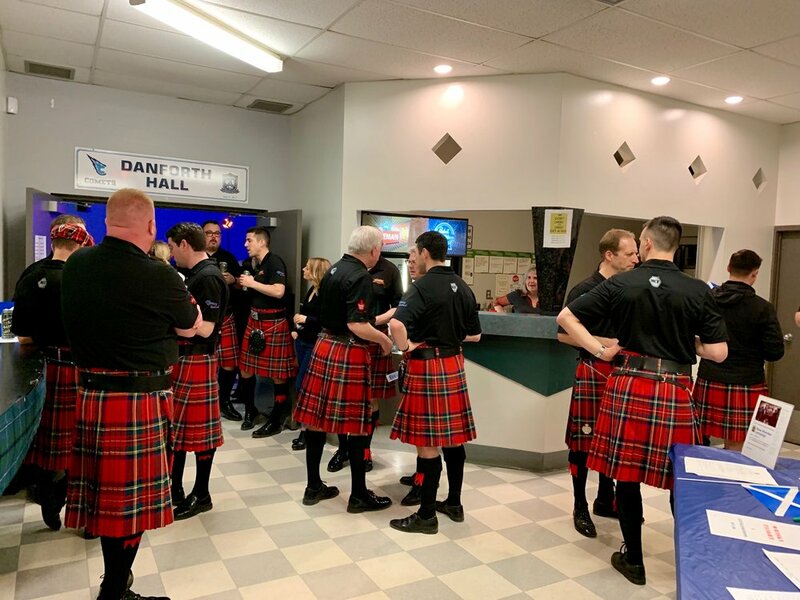 The tartans were in full display and the kilts were flying as guests enjoyed the music from the band Thistle and the dance instructions from Joan Hanton. The Dorchester Scotch Club poured for Scotch Tasting, the Hint o’Heather displayed their Scottish items, and Scottish food from Molly’s Meat Pies - Scotch pies, Scotch eggs, oatcakes and shortbread were available for purchase. Rev. Dr. James Christie did an address to the Haggis for children and another one later in the evening for the adults.. The Winnipeg Police Pipe Band provided glorious Scottish tunes. Special thank you to everyone who attended, the member volunteers and their friends. Special thanks to RBC and their terrific volunteer group. Stay tuned for another Ceildih next April. Committee members: Dave Cherrett, Pam Simmons, Joan Hanton and Peter Heavysege.